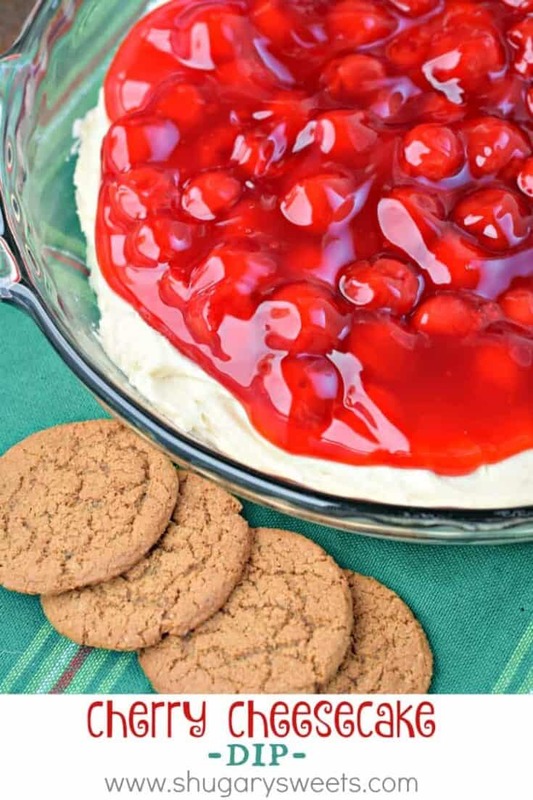 Smooth and sweet, this Cherry Cheesecake Dip is the perfect way to celebrate! Whether it’s an snack or dessert, add some cookies for dipping fun! Here is the truth about this dip. I was craving cheesecake. But I didn’t want to make one. I knew I could whip up one of my favorite No Bake Cheesecakes, but honestly? I wanted a snack. Something that didn’t limit me to one slice. haha!!! In other words, my sweet tooth was out of control and I needed something to dip. Because let’s face it, that’s the whole point of dips and cheeseballs. The freedom to keep going. To keep dipping. Granted, I had to share this with other people, so I tried to step away a little bit. But those gingersnaps with this dip are amazing. My kids loved the mini nilla wafers. What would YOU dip in here? In a large mixing bowl, beat cream cheese with powdered sugar and vanilla until smooth (about 3-5 minutes). Add in cooled butter mixture and beat an additional 3 minutes. Spread into the bottom of a pie plate. Pour cherry pie filling over the top. Refrigerate until ready to enjoy (may be made a day in advance). Serve with cookies and pretzels as dippers. 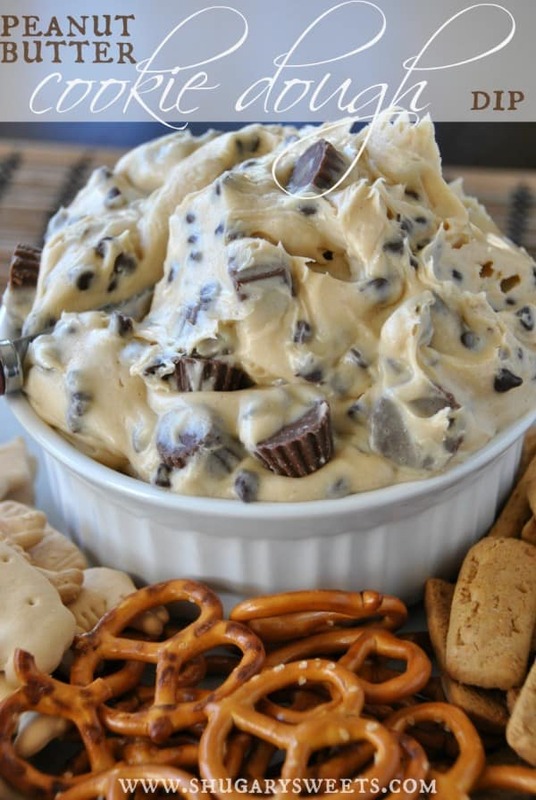 Reese’s Peanut Butter Dip: this is one of my most popular recipes, because it’s amazing! 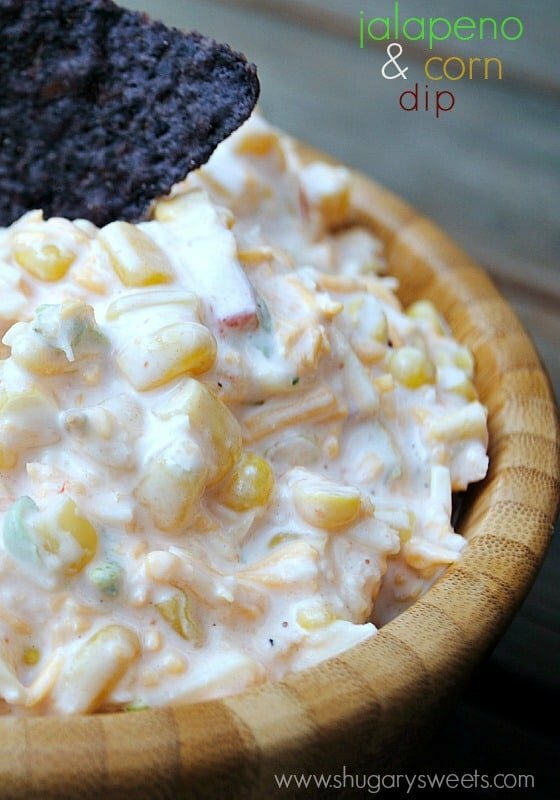 Jalapeno Corn Dip: an easy, savory dip for your salty pleasure! 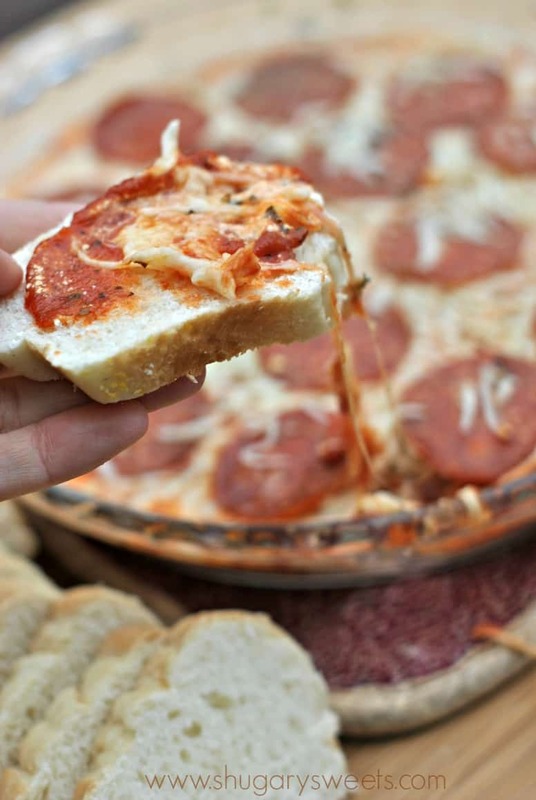 Pepperoni Pizza Dip: true story, we’ve had this as dinner. Don’t judge. 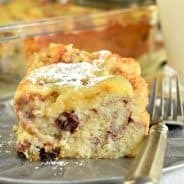 This reminds me of that classic cherry cheesecake that EVERYBODY loves. It looks fantastic, Aimee. Making it into a dip is just being super smart! 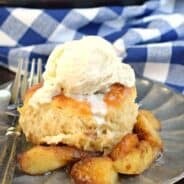 So glad I found this recipe! 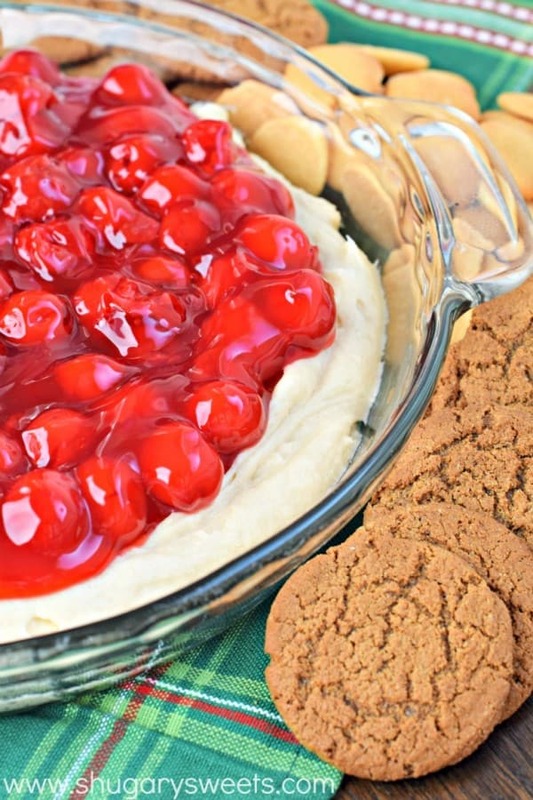 My brother reeeeally loves no-bake cherry cheesecake, and this is exactly that – but even easier! 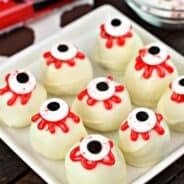 I am definitely making this for our Christmas Eve snack night 🙂 Thank you! 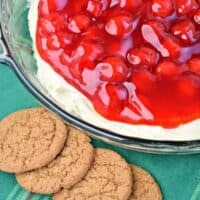 This Cherry Cheesecake Dip looks fantastic Aimee! Thanks for linking to our Chili Dip! 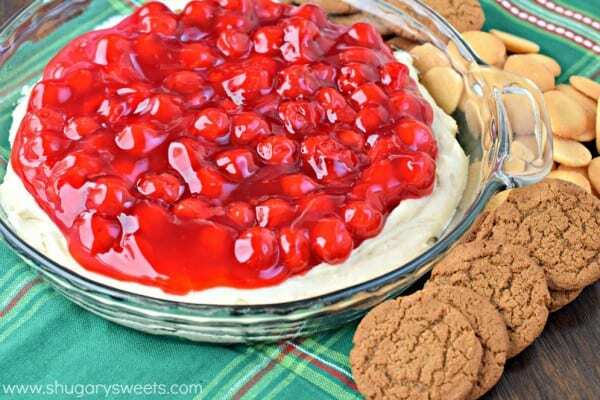 This is perfect for a Christmas Eve snack!